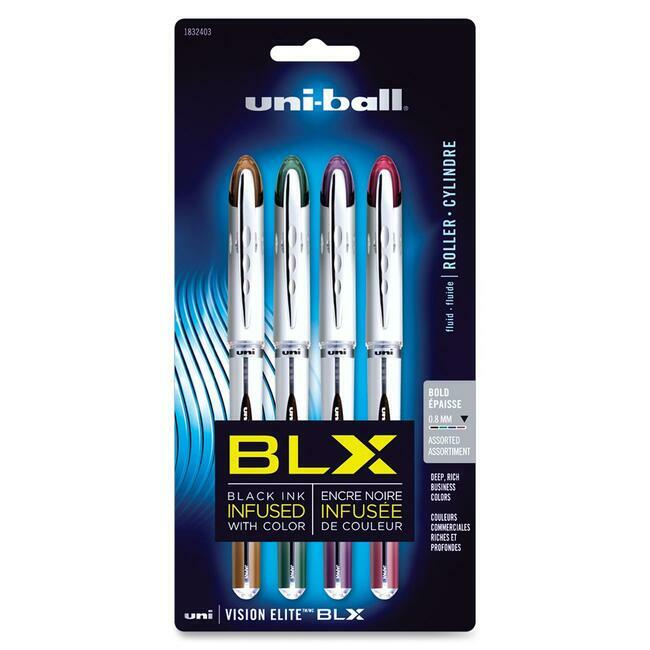 Sophisticated, professional rollerball pen contains black ink infused with color so you can differentiate yourself with every stroke. Airplane-safe ink is engineered to eliminate leaks due to changes in cabin pressure. 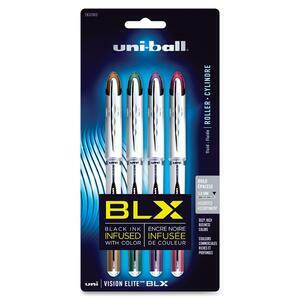 This uni-flow ink system creates a steady flow of water-resistant ink and smooth, consistent color. Exclusive pigment-based ink forms an indelible bond in paper for intense coloration and document security. 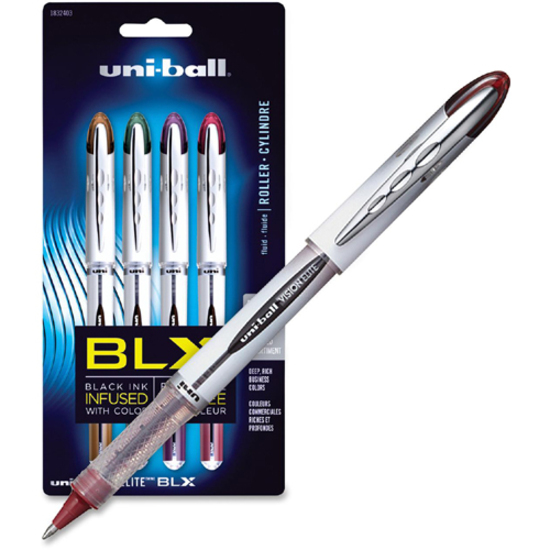 Rollerball pen also features a clear grip for ink level visibility and an elegant cap with a clip to attach the pen to pockets, notebooks, loops and more. Accents on cap and grip area match the color of ink.